Everything you need to start playing the world's greatest roleplaying game! Explore subterranean labyrinths! Plunder hoards of treasure! Battle legendary monsters! The Dungeons & Dragons Starter Set is your gateway to action-packed stories of the imagination! This box contains the essential rules of the game plus everything you need to play heroic characters on perilous adventures in worlds of fantasy. 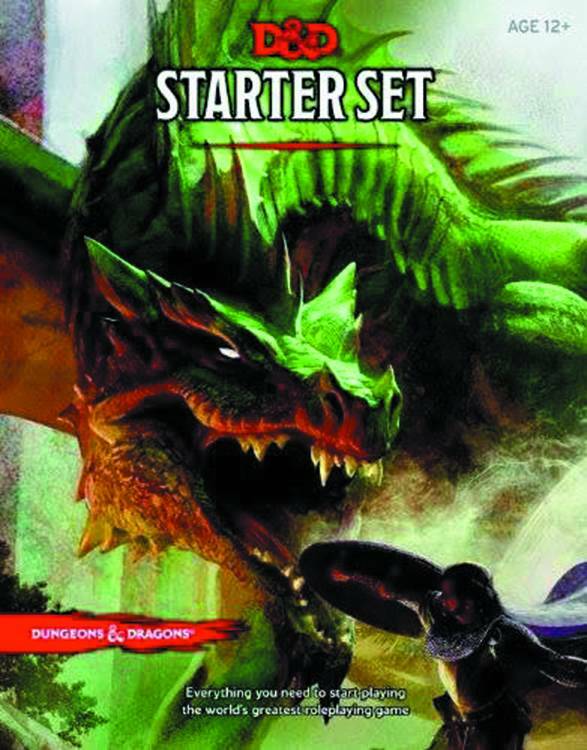 Ideal for a group of 4 - 6 players, the D&D Starter Set includes a 64-page adventure book with everything the Dungeon Master needs to get started; a 32-page rulebook for playing characters level 1 - 5; five pre-generated characters, each with a character sheet and supporting reference material; and 6 polyhedral dice..